Panama, Costa Rica, Ecuador, northern Peru and the Caribbean islands are areas that need urgent protection in order to achieve the global biodiversity conservation targets set for 2020, a new study shows. UXBRIDGE, Canada, Sep 10 2013 (IPS) - A team of scientists who analysed the richness of plant species around the world concluded that the ecosystems in need of immediate protection in order to meet the 2020 conservation goals set by the Convention on Biological Diversity are largely concentrated in Latin America. “Our paper sets out the priority areas for protection, based on their species richness,” said report co-author Stuart Pimm from Duke University, in the eastern U.S. state of North Carolina. Those priority areas include Panama, Costa Rica, Ecuador, northern Peru and the Caribbean islands, Pimm told Tierramérica*. Costa Rica is home to nearly 800 endemic species, found nowhere else in the world. Canada, which is nearly 200 times larger in area than the small Central American nation, has only about 70 unique or endemic species scattered across its nine million square kilometres of land area. The reasons for this disparity are Canada’s cold climate and the last Ice Age, which buried the entire country in ice several kilometres deep 10,000 years ago. Less than one sixth of these priority regions are protected, the report found. While Costa Rica has protected at least 20 percent of its land area, far more than nearly any other country, there is not enough data to know if that is enough, Pimm said. “When it comes to plants, we don’t have the data to determine how much should be protected in any one country or where these protected areas should be inside a country,” he noted. There is far more information on birds and animals, which has been used to identify so-called “biodiversity hot spots”. This new study confirms most of these spots, but takes the analysis further with better methodology. There is a correlation between the diversity of plants and that of other species, but there are also plenty of exceptions. A tropical forest might have many amphibians, while a tropical island with similar numbers of plants may have none, Pimm explained. Most existing national parks and protected areas are often in remote areas or in barren and inhospitable areas. With this new data, species-rich areas can be targeted for protection. “The hard reality is that most of the priority areas in need of protection are in generally poor countries, like Madagascar or Ecuador,” said study co-author Clinton Jenkins, a tropical ecologist and conservation expert from North Carolina State University, who also works with a Brazilian conservation NGO. “Costa Rica has to protect more of its area than Canada if we want to stem the rising tide of extinctions,” said Jenkins in an interview with Tierramérica. Mobilising international support to protect biodiversity in other countries has been very difficult. Under the CBD Strategic Plan for reaching the 2020 goals, developed countries agreed to double biodiversity aid by 2014, and to maintain those levels until the final year of the plan. “This is key to achieving any target,” CBD spokesperson David Ainsworth told Tierramérica. Ecuador proposed to protect 10,000 square kilometres of its Amazon region as a national park, instead of allowing oil drilling, through the Yasuní-ITT initiative. It asked the international community to contribute 350 million dollars a year to offset the foregone oil revenues, Jenkins noted. But after five years, the fund to leave the oil in Yasuní Park untapped had collected only 13.3 million dollars, and now Ecuador is preparing to allow drilling to proceed. “A new road has already been blasted through the region,” Jenkins said. Roads inevitably lead to deforestation, with negative impacts on local indigenous communities, he added. 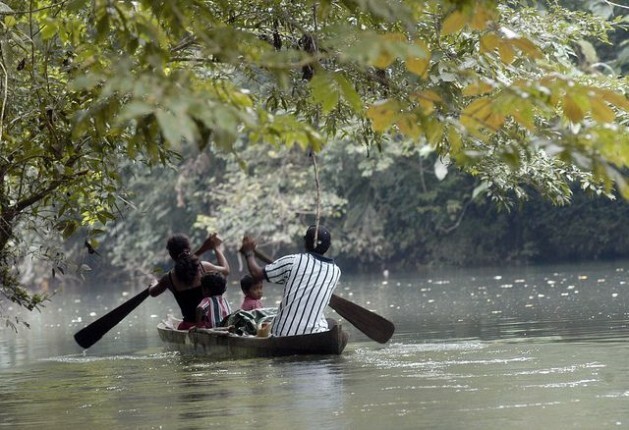 The Tagaeri and Taromenane indigenous peoples live in voluntary isolation in the region. Oil drilling using extended reach technology could minimise the damage, by eliminating the need for roads. It is not necessarily more costly, but not all companies have the expertise to do it, he said. “If the oil is going to be drilled, then it’s up to the Ecuadorian government to make sure companies make the minimum impact,” said Jenkins.